Robbie Williams is a corn and soybean farmer in Henderson, Kentucky. A telephone call to discuss FuzzMeasure is scheduled around planting and farming hours when Robbie’s not out on his tractor. The Audubon State Park in Robbie’s hometown of Henderson, KY houses the largest collection of John James Audubon art and memorabilia for the famous painter and naturalist who lived there for many years. Robbie retells the story of James Audubon going bankrupt with his gristmill in Henderson, then being jailed for bankruptcy before leaving for Europe and finding fame and fortune there as the “American frontiersman”. Robbie had a vision of a multimedia theater in the museum to showcase Audubon’s work. 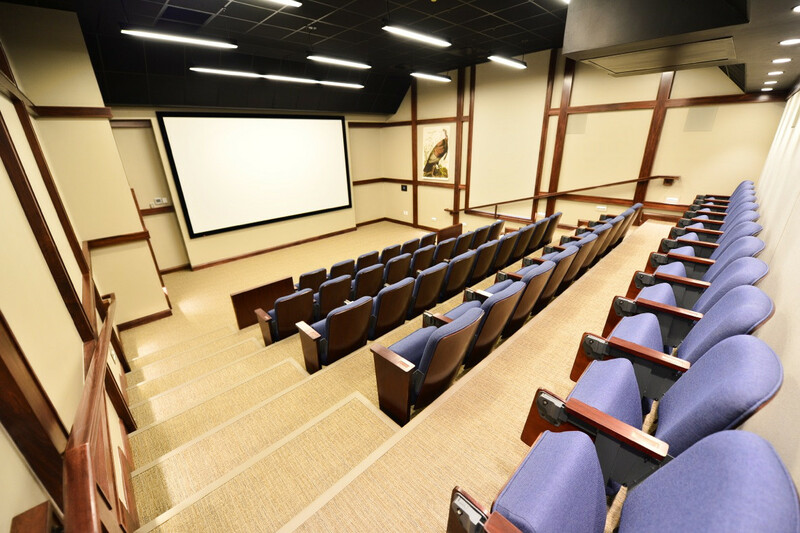 A 50-seat theater was designed with a media server with 7 audio channels looping twelve hours of high-definition video content with surround sound, showing in-house produced nature films. 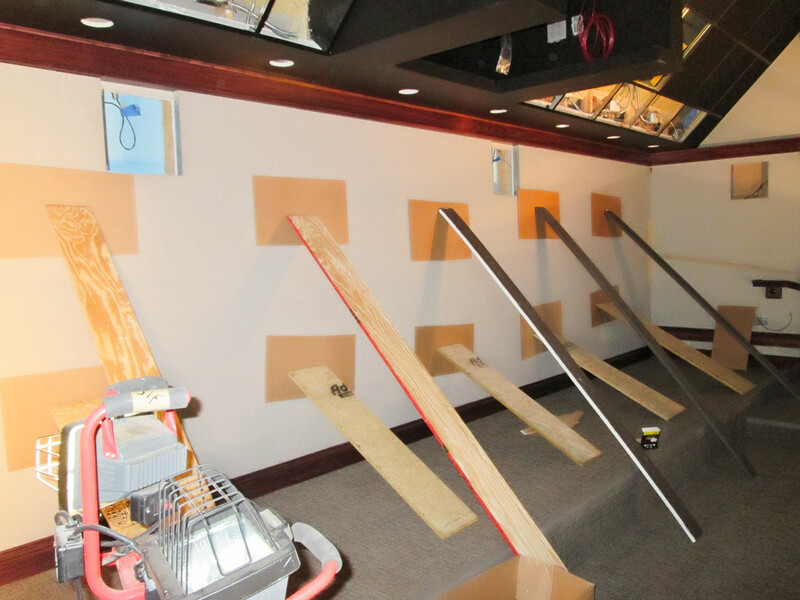 Robbie tuned the room and dramatically transformed the acoustics of the theater space with the help of FuzzMeasure. Why did you purchase FuzzMeasure? Be advised that I'm not a sound professional. I'm a farmer. 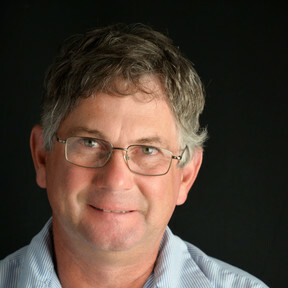 My friend and local architect Tim Skinner was the real designer, a great local architect who came up with the original floor plan that fit inside of the existing museum building. I put a few acoustic details into the project. I did a lot of research online and came across FuzzMeasure. Although I am a layperson and first time FuzzMeasure user, the software was intuitive and easy to use. From the very beginning, we used FuzzMeasure to analyze the space where we wanted to build the theater. What was the problem in the theater space you were trying to solve with FuzzMeasure? We were converting a little-used space in the park’s museum that had horrible acoustics. The room was a barn-like hall with Plexiglass, hard drywall and plywood floor. Reverb times were exceeding 1.5 seconds for some frequencies. The dimensions of the room were such that the reverb was terrible! Groups of people would try to talk louder to overcome the reverb. Although I am a layperson and first time FuzzMeasure user, the software was intuitive and easy to use. FuzzMeasure helped us to target the problem mid bass frequencies while not over dampening the high end. We wanted to emulate an "outdoor experience" with very clear sound, i.e. the chirp of a bird, leaves rustling, a bullfrog, etc. We wanted studio-quality sound that wasn’t too dead. We wanted the reverb times to be really low like an outdoor environment without being noisy. I am pleased to say that now you can hear a pin drop in the theater. Reverb times are all below 0.3 seconds! How was your experience getting up and running with FuzzMeasure? Why didn’t you go with the free software out there? It’s been my experience over the years that professional software is easy to understand and the el cheapo stuff is hard to understand, whether its farm or acoustic software. I don’t want to read manuals to operate anything from cameras to tv’s. All the really good software is intuitive. You can pick it up and it works. I don’t have time to fool around with something that isn’t the best. I had more trouble hooking up the preamp than reading FuzzMeasure graphs! Sound waves are mathematical, predictable and mechanical. I have an intuition of how sound waves behave. You can almost see it and feel it. After I used FuzzMeasure to see it visually, I could figure it out. It really wasn’t that hard. We were after some mid-bass frequencies. I picked up a lot of acoustic details by learning about movie theaters. Every time I would go to a movie, I would try to figure out things like screen size, seating placement and acoustical treatments (pretending to watch the movie while counting ceiling tiles to get room dimensions). There were also a lot of good articles on the Internet about optimum reverberation times and I ran across a mention of FuzzMeasure. I was looking for something highly graphical and intuitive that works with a Mac. In a nutshell, FuzzMeasure is user-friendly, graphical and intuitive. Which FuzzMeasure graphs did you use most and why? We knew we had a reverb problem in the original space. The honest truth the software was so intuitive that I basically just got in and poked around. They are very graphical. I was looking how to tune a room and was looking for objectionable reflections and reverb times. I wanted to understand the room before we started so we tested the room during the design stage. Then during construction as we started applying acoustical materials we ran some tests and then after the theater was completed. The Waterfall graph, if you look at it, is just a more detailed version of a Reverb Time graph to me. I could see the same nodes in the Waterfall as you would in the Reverb Time graph, just with more detail over time. The Reverb Time bar chart condenses the Waterfall graph to a very basic view. Those two graphs made sense to me so I just stuck with them. I had never looked at a Waterfall graph before this project. This graph just makes sense. It’s a really cool, 3-dimensional reverb time graph. You can change the parameters to really target a specific frequency you want to look at. I’ve looked at topological 3-D mapping to see the elevation of the farm and drainage systems and that looks like a Waterfall graph. What was your solution for the space? We did our research online. We knew the materials would have to have some thickness and that we had to get fiberglass or mineral wool. I knew the mineral wool would be fireproof, which we needed for the theater. 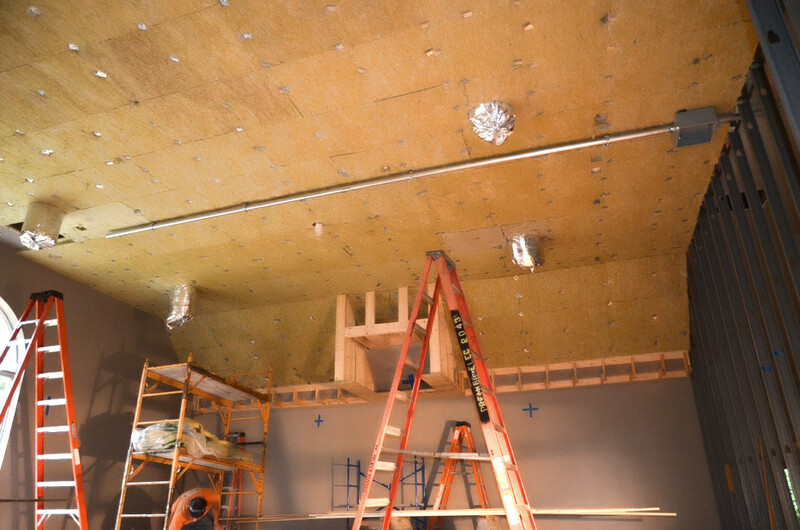 We got a double-layer ceiling of 2” mineral wool and hung a 2” fiberglass drop ceiling with a cavity a foot thick to absorb everything. We knew we wanted the room to be dampened and a little dead. I’ve got the whole back wall with 2” fiberglass panel and the whole area behind the screen I have 4” of fiberglass material. There’s a lot of stuff hidden in the room with a little bit of diffusion from the traditional wood trim. A lot of walls are the original drywall but with some sound treatment dampening it down. It makes my day when total strangers comment on the sound! You can sit up there with fifty people in there and hear a gum wrapper crumple. There’s no noise in there. When people walk into this room, they get a funny look on their face and say, “It sounds like the sound is coming out of my ears. It’s calming, quiet.” Even little kids go in this room and it has a calming effect.